“Wasp March 2008-3” by Alvesgaspar – Own work. Licensed under CC BY-SA 3.0 via Wikimedia Commons. Regular readers of the “Did You Know” section of Wikipedia’s main page may have noticed a lot of buzz about wasps lately. Articles from nine students in Dr. Joan Strassmann’s Behavioral Ecology course have been given Did You Know nods this term, and 13 more are in the works. As part of the course assignment, students are asked to contribute two, 1,000-word articles about the insects, each with at least seven references. As students learn about these social behaviors in organisms, they’re learning some social behaviors on a human scale, too, as they work to contribute facts about their adopted animal species to Wikipedia. The success of this class has proven to be a great example of what can happen when classrooms, the Wiki Ed support structure, and the Wikipedia community come together. …that the wasp Agelaia multipicta removes ants from its nest with blasts of wing buzzing? …that the Southeast Asian social wasp Parischnogaster jacobsoni has a gland that creates an ant repellant? 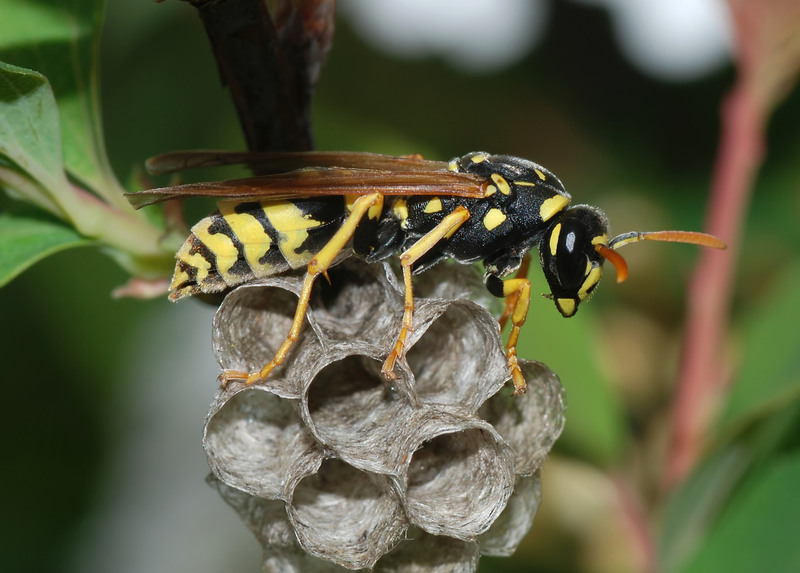 …that the queen wasp Belonogaster petiolata inspects her nest to ensure the eggs are hers, and eats any not laid by her? …that the wasp Blastophaga psenes has a symbiotic relationship with figs? …that Protonectarina sylveirae can increase the yield of coffee crops? Wiki Ed Wikipedia Content Expert Ian Ramjohn also identified the student’s contributions as worthy of DYK nominations. The community has been involved, too. Ian notes that a Wikipedia editor, User:Cwmhiraeth, an extremely proficient creator of species articles, has been instrumental in getting the DYKs passed. This course on social behavior and cooperation in the animal kingdom has given us an excellent example of cooperation on Wikipedia. Bridging students, instructors, and the community is what the Wiki Education Foundation aims to do. This course has shown how beneficial that cooperation can be.